The drive from Portland to Seattle is one I’ve made numerous times. The road trip between the two cities, on the other hand, is something I’d never done. In the past, that stretch of highway was about getting from point A to point B as quickly as possible. However, my most recent drive to (and from) Seattle was different. This time, the “getting there” was as much an experience as being there. This time, I took the long way around and even found myself inspired to stop at some of the sites rather than speed by them as I had done in the past. What made this drive different from past ones? 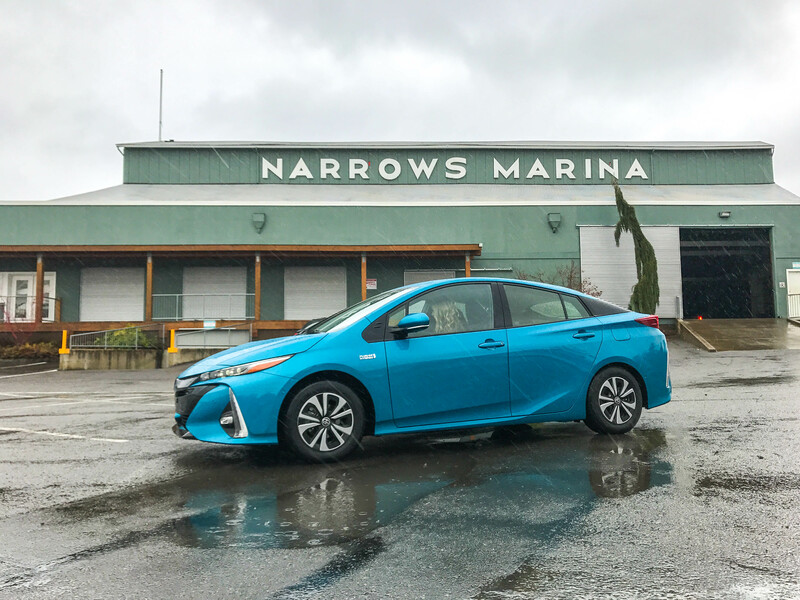 For starters, I was demoing Toyota’s new 2017 Prius Prime. 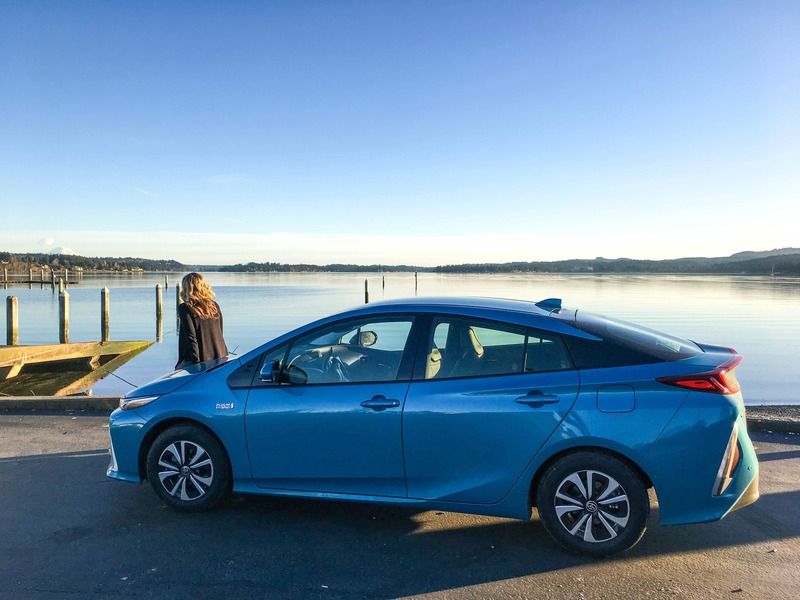 Though the car served as a main motivation for turning this particular drive into a road trip, it wasn’t so much the vehicle itself as the inspiration it evoked. After all, when you have a car that will take you 600+ miles on a single tank of gas, the opportunities are endless and one destination may become several. Our road trip kicked off early Friday morning. 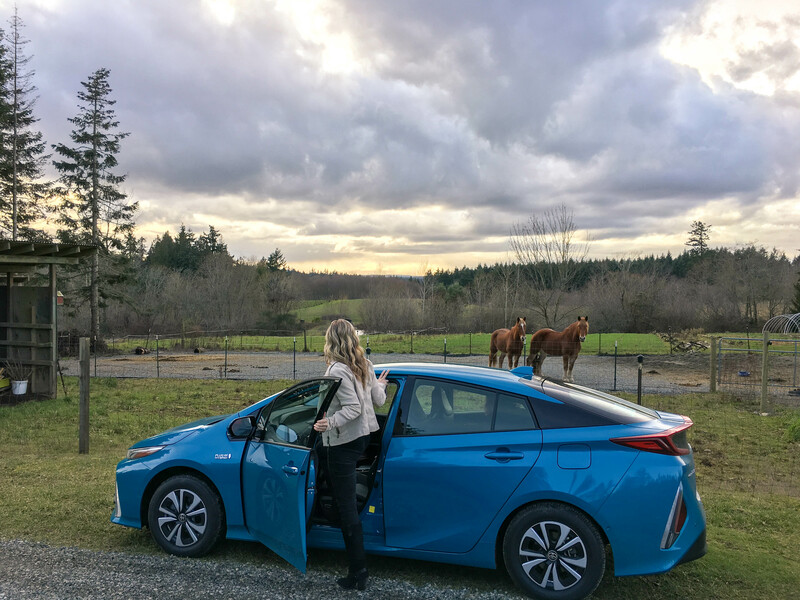 Anxious to get going, my boyfriend loaded up the Prius Prime while I loaded up on coffee. Once I was caffeinated and the car was packed, it was time to commence the drive. Since packing light is not my strong suite, I was surprised at how much luggage could fit in the Prime’s trunk (the trunk measures 19.8 cubic ft and was much more spacious than I had anticipated). I slid into the driver’s seat, admiring the black leather interior, capacious bucket seating, and giant (11.6 in.) touchscreen. I pressed the power button and the car came to life. The lack of physical buttons and knobs (replaced by the Prime’s touchscreen), made for a bit of a learning curve. However, after poking around (and zooming and tapping and swiping) I found the “control pad” fairly intuitive and smartphone-esque. 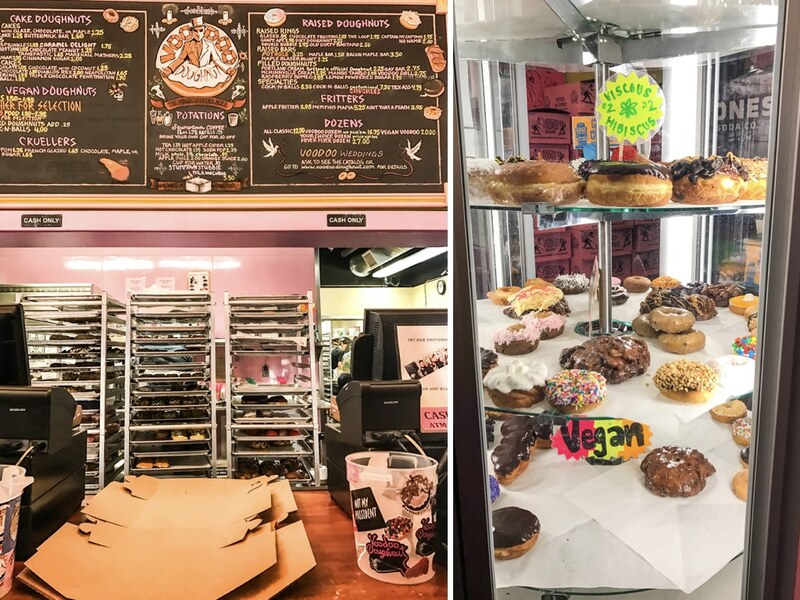 My boyfriend used the touchscreen to control the climate and turn up the satellite radio while I maneuvered the Prius through downtown Portland en route to to I-5 – stopping, of course, at VooDoo Doughnuts before hitting the highway. 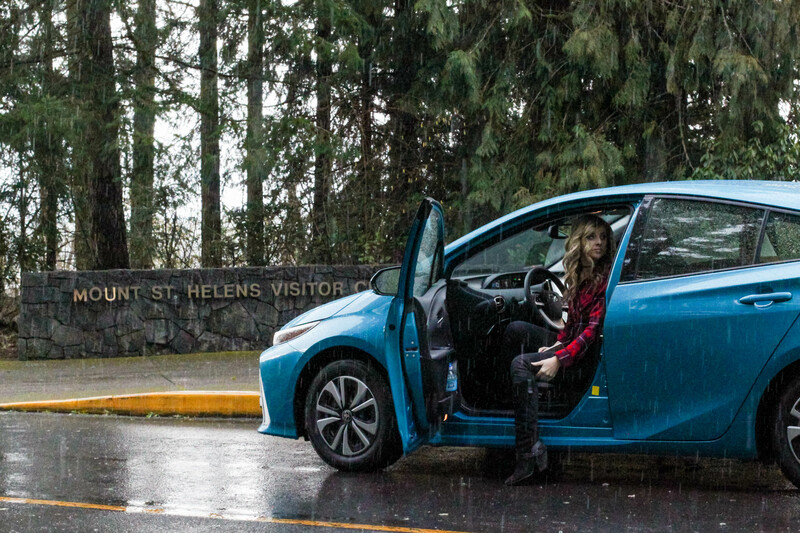 It was about an hour drive from Portland to our first stop at Mount St. Helen’s Visitor Center, which gave me time to get acquainted with the Prime and its numerous features. Once we hit the highway I was thrilled by the Prime’s heads up display that projected a speedometer readout onto the windshield in front of me. 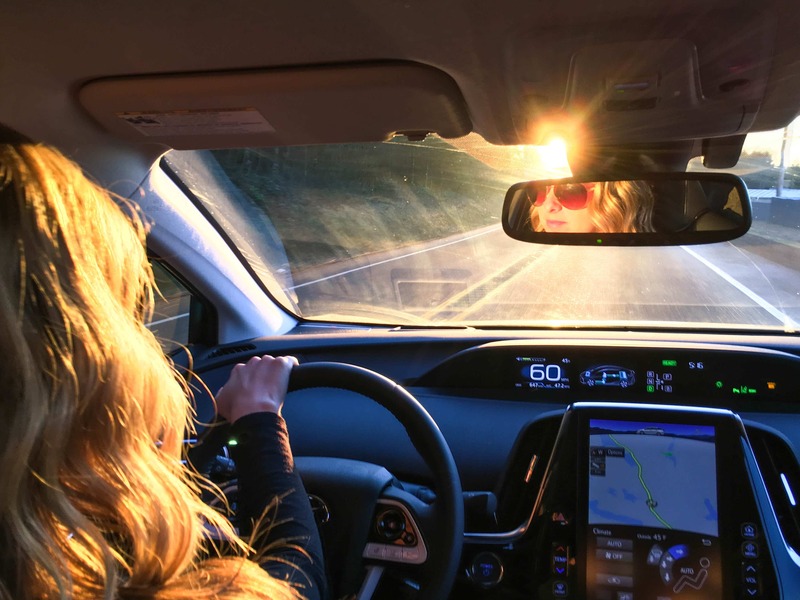 I continued to respond with giddy excitement each time I discovered a new feature (“Look, the mirror lights up if someone is in my blind spot!” “Hey, it beeps if I swerve over the white line!” “Wow, the windshield wipers speed up and slow down automatically!”). Our first stop was at the Mount St. Helen’s Visitor Center. The visitor center is located about 10 minutes off the highway, next to Silver Lake. There’s a 1-mile nature trail next to the visitor that boasts beautiful views of the lake, wetlands and (on a clear day) Mount St. Helens. Several interpretive signs line the trail with information about the local habitat and effect of the volcano. The visitor center, itself offers exhibits on the 1980 eruption as well as an informative video (and clean restrooms). From the visitor center it was another hour and forty-five minute drive to to our next stop in Tacoma. While driving through Tacoma there was some road construction so I was forced to veer out of my lane slightly. After I crossed the white line a few times a picture of a coffee cup appeared on the Prime’s dash display with a notice that asked if I needed a break. This was another little feature I found fairly amusing. 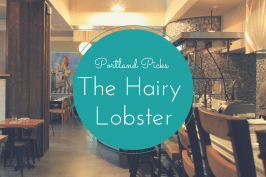 We drove through Tacoma to the Narrow’s Marina and stopped for a beer at the beautiful Narrow’s Brewing Company. 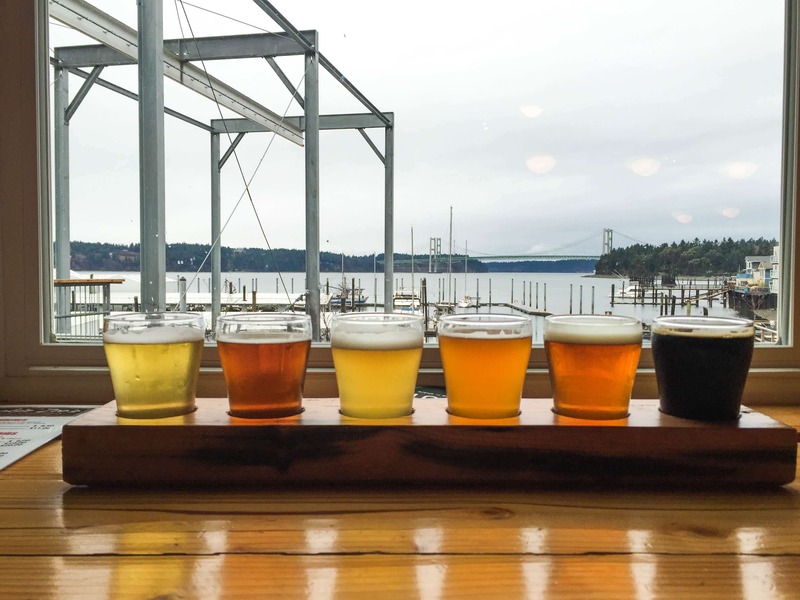 Located in Tacoma’s historic mill building, the waterfront brewery boasts stunning views of the Puget Sound and the Iconic Narrows Bridges (not to mention great beer). Once we finished our beer we walked next door to Boathouse 19 for lunch. The waterfront restaurant also offers beautiful views of the sound and marina. We arrived in Seattle Friday evening and spent Saturday exploring the city. Of course I had to stop by Pikes Place Market (a must when visiting Seattle). 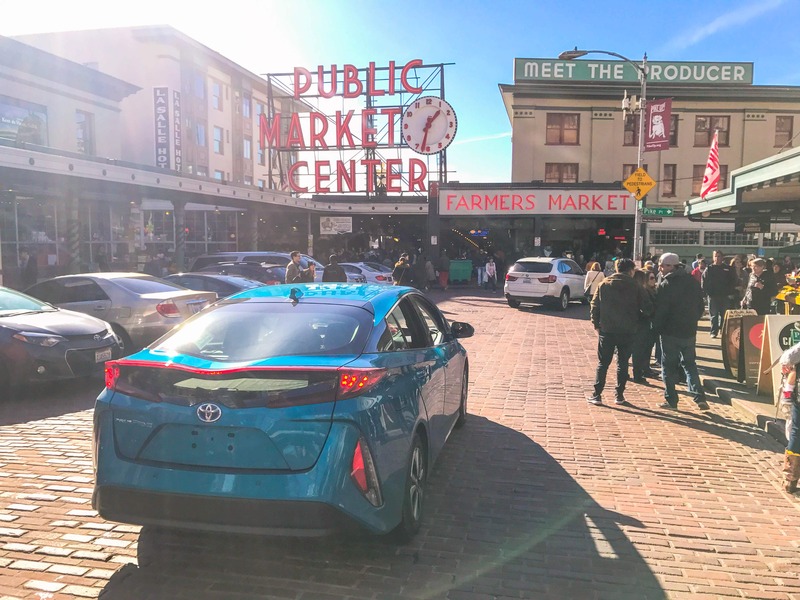 The market is always swarming with tourists and cars, so the Prime’s expansive safety features were extremely helpful while navigating my way through the obstacle course that is Pike Street. The Prime’s rear cross traffic alert system uses sensors to detect vehicles approaching from either side, while its pre collision system contains pedestrian detection that will provide an audio/visual alert warning of a potential collision with a pedestrian, and (if you don’t react) the car will actually stop itself to prevent an accident. In addition to downtown Seattle, we spent some time exploring the city’s neighborhoods and spent most of our afternoon in Fremont. Often referred to as “the center of the universe” Fremont is an artsy neighborhood located on the north shore of the Lake Washington Ship Canal. 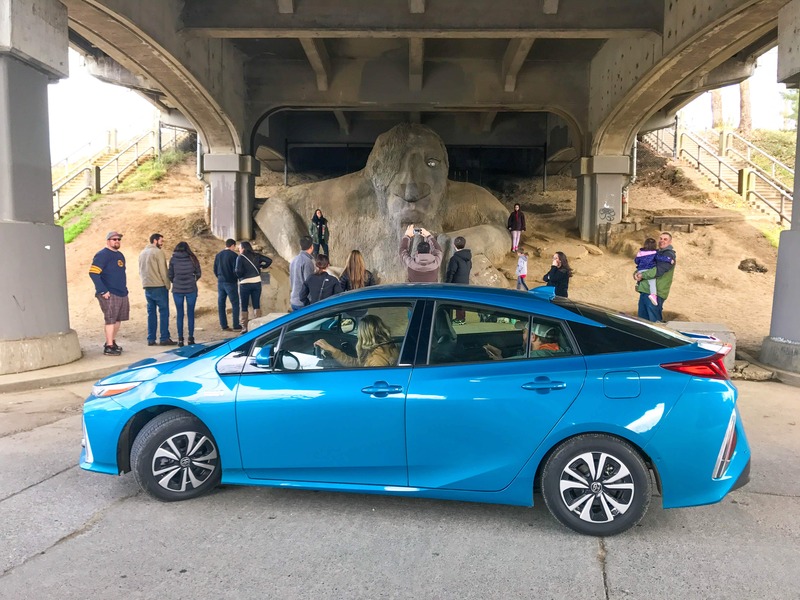 Though the area is famous for its “Fremont Troll” that resides under the Aurora Bridge, it also boasts numerous great restaurants, shops and breweries. 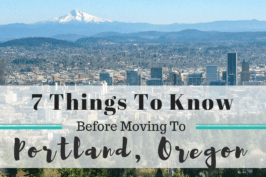 When it was time to make our way back to Portland, we decided to take the scenic route home. This involved hopping a ferry and beginning the drive on Bainbridge Island. The ferry ride from Seattle to Bainbridge Island is something I do every time I visit and can’t recommend highly enough. 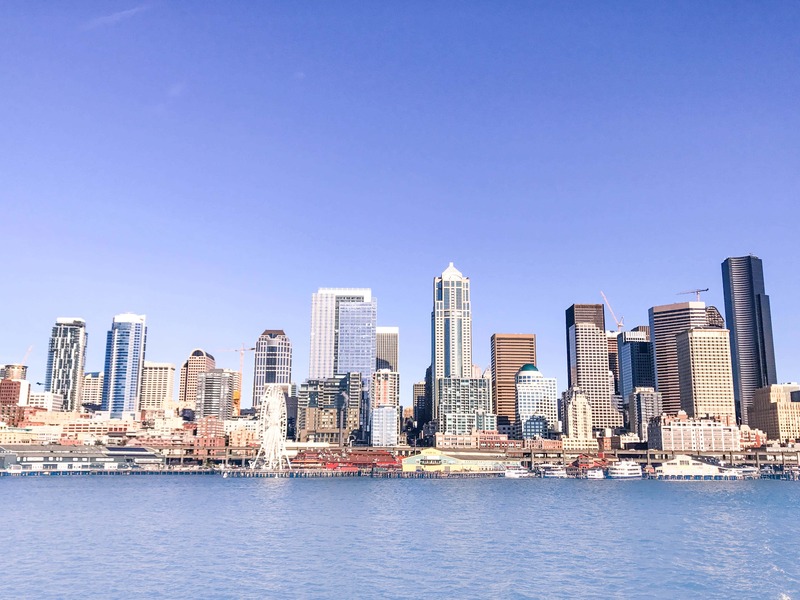 If you’re visiting Seattle, skip the costly cruise tours and take the ferry instead. 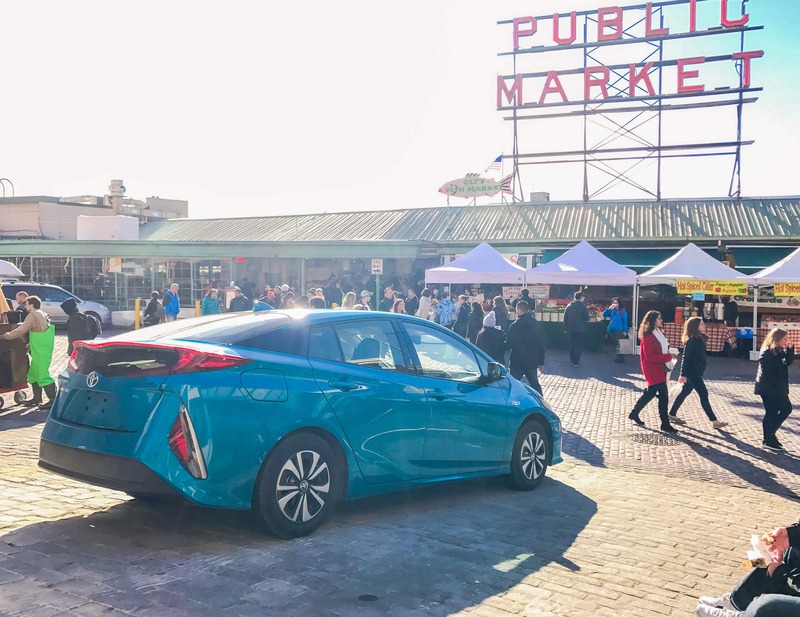 It offers the same scenic views of the Seattle skyline and takes visitors to the beautiful Bainbridge Island (another must when visiting Seattle). 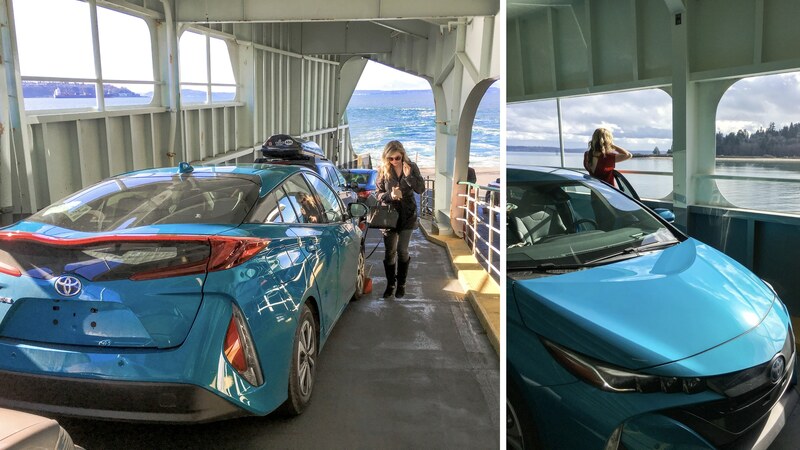 Onboard the ferry, the Prime’s “Blue Magnetism” color stood out among the lines of black, white and beige cars, making it easy to find when it came time to deboard. By this point I had affectionately named, and referred to the Prime as “the Blueberry.” (despite my boyfriend’s warnings to not get attached). From Bainbridge Island we drove to Suquamish and stopped to take in the views from the Suquamish Tribal Dock. 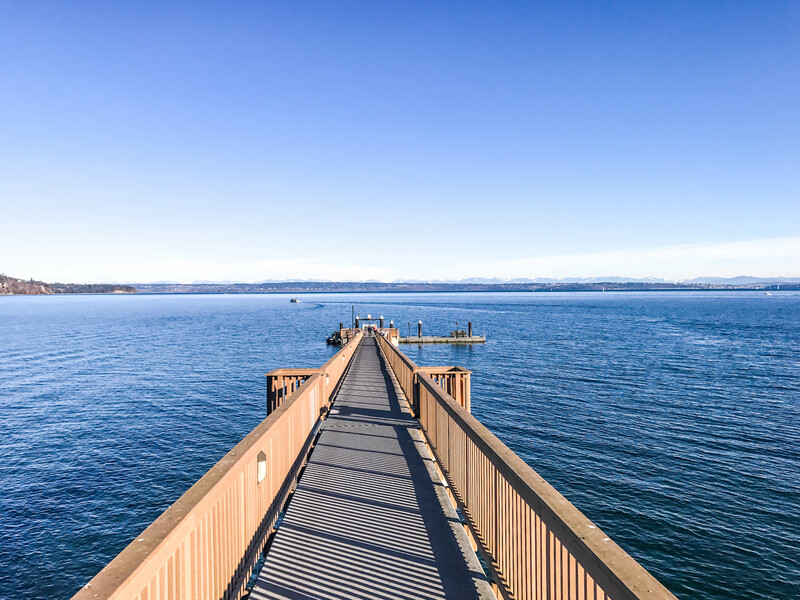 Located at the North end of Agate Passage the long, high wooden dock boasts beautiful views of Agate Pass Bridge and surrounding landscapes. From Suquamish we meandered our way to Silverdale and stopped for dinner at Cash Brewing in Old Town Silverdale. 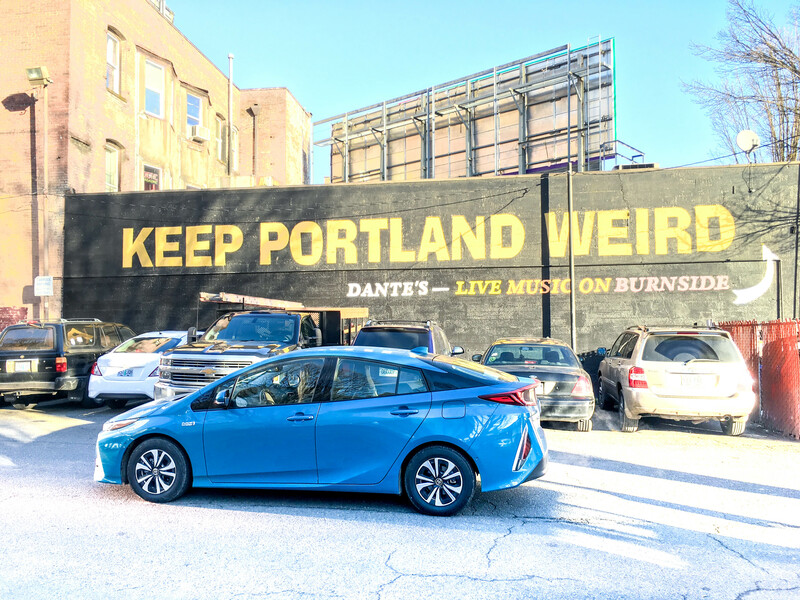 The Prius Prime’s back up camera and intelligent clearance sonar (which scans for stationary objects within close proximity and alerts you – or automatically breaks – to prevent you from hitting them) came in handy while trying to parallel park on the town’s small streets. 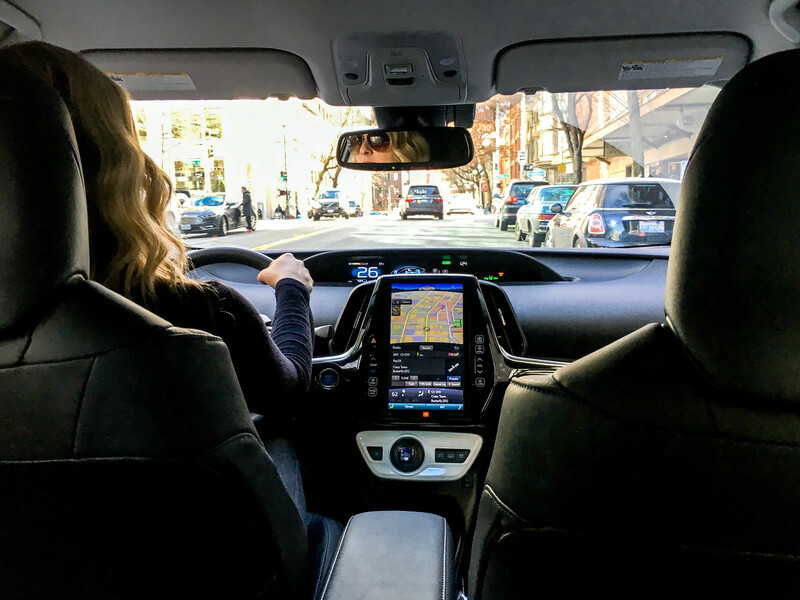 The Prime also offers Intelligent Parking Assist in which it automatically controls the steering wheel while you control the gas to help guide you into a difficult parking space (I WISH I knew of this feature while attempting to park in downtown Seattle). 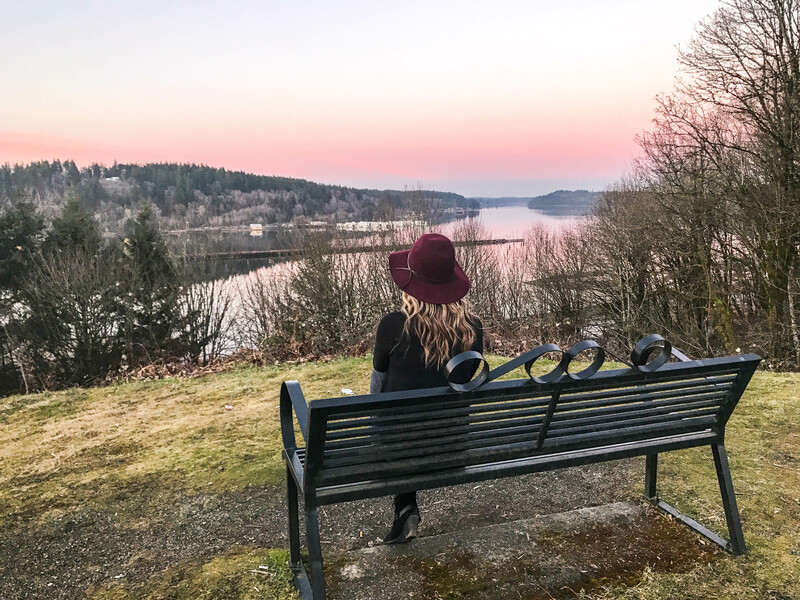 After dinner we stopped by Silverdale Waterfront Park to digest and take in the beautiful views of the Dysen Inlet before getting back on the road. Another reward on this back road was the small, picturesque town of Shelton. The drive from Silvedale to Shelton was absolutely beautiful. The road meandered along the Dysen Inlet, providing stunning scenery of the water and surrounding forests. The Prime, with its lightweight components and aerodynamic elements, seemed to glide along the asphalt. Occasionally the Satellite radio would go out (blocked by the tall trees that lined the road), and in the silence I noticed how quiet the car’s interior actually was. 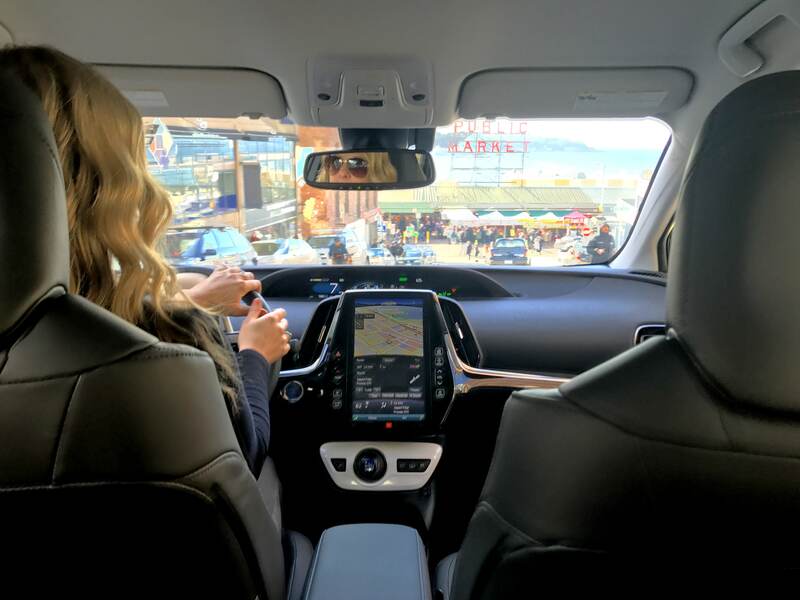 In addition to the quiet 1.8 liter atkins cycle engine (or complete silence when driving on full EV mode), the Prime features excellent soundproofing to block out highway noise. While passing through the Shelton, we decided to stop at a lookout point and watch the sunset. Perched atop a hill overlooking the town and Inlet, the view was stunning. We sat on a bench and enjoyed the serene surroundings as the day (and our road trip) came to a close. 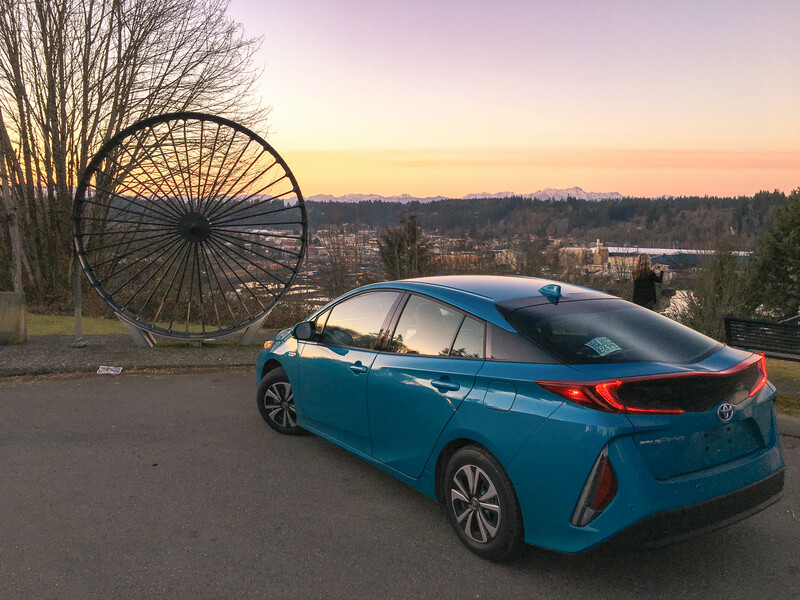 Once the sun had set we got back in the “Blue Magnetism” Prime (which by this point I had affectionately named – and referred to as – “the Blueberry”), and continued on the last leg of the drive. My hands were cold from our recent stop, so I took full advantage of the Prime’s heated steering wheel as the car warmed up. 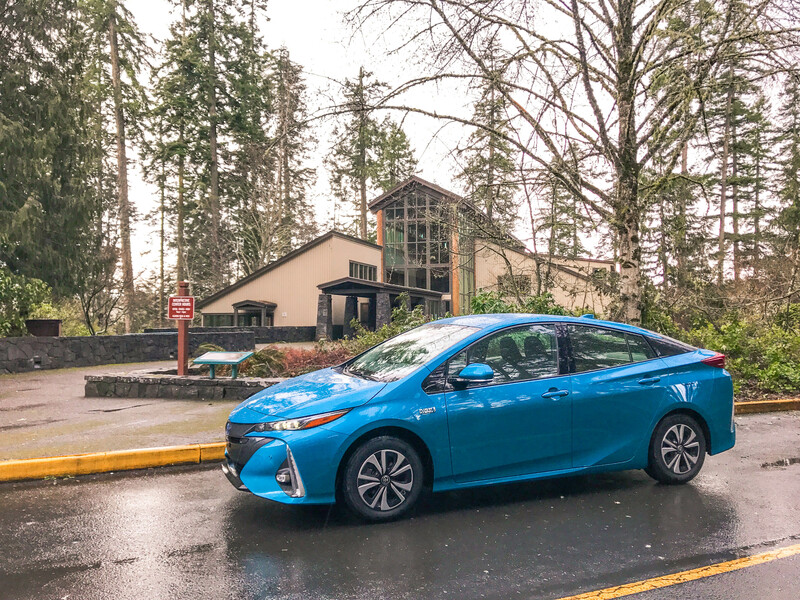 It was dark by the time we hit I-5 for the homestretch, and the Prime’s auto high beam feature was extremely helpful while navigating to the main highway. 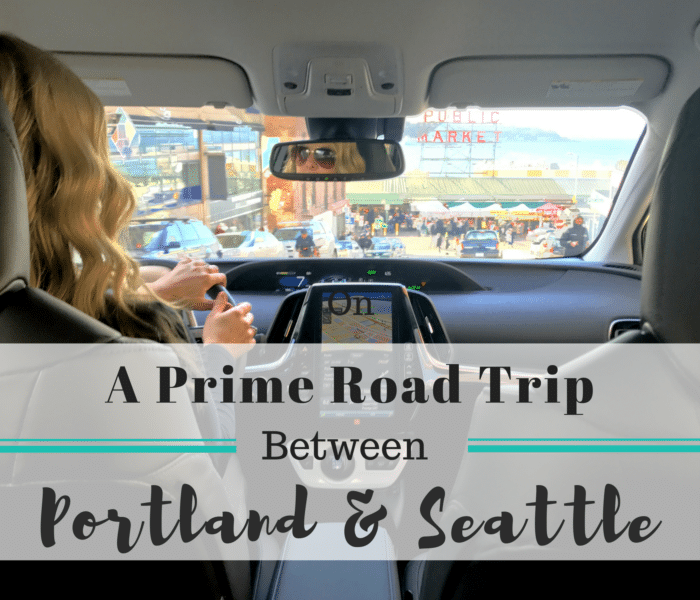 As we neared Portland, I reflected on how much better and more enjoyable the scenic route (and road trip approach) had been. If you’re driving between Portland and Seattle, skip the hustle and bustle of I-5 and consider taking this byway. You’ll thank me later. Despite taking the long way home, we pulled in to Portland on the same tank of gas from which we left. We had driven about 400 miles without the need to stop and fill up, which was a first for me. Ultimately, I ended up paying more for parking than I did for gas – the irony of which was not lost on me. All of the Prime’s little details, from the heated steering wheel to the blind spot monitoring, add up to create one exceptional driving experience. I may not be an auto reviewer, or even much of a “car person,” but I can honestly say the Prime is perfect great for people like me. 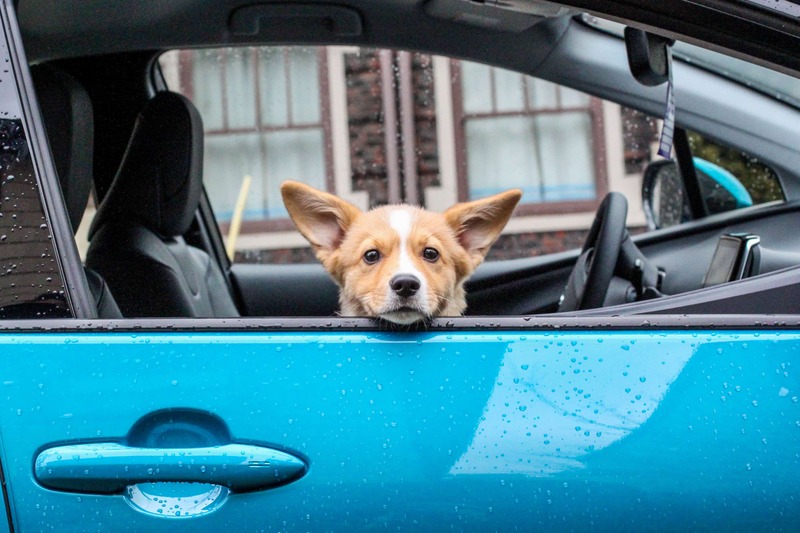 People with daily destinations that want to worry a little less (about gas, parking, safety, you name it) and enjoy those necessary drives a little more. I will definitely miss the Prime as I continue peregrinating the highways of Oregon and Washington. While adding more miles and moments to my trip extended the experiences and enjoyability of an otherwise mundane drive, I have the Prime to thank for motivating me to go beyond struggling from freeway to freeway and make a road trip out of a (previously conceived) long drive. So, thank you Toyota for making the drive fun again and inspiring me to go places. Disclaimer: This post was in collaboration with Toyota. However, all thoughts and opinions are my own. Oh I’ve made similar trips many times having lived in Portland, Seattle, Silverdale and Olympia. It’s really a lovely part of the country. Just another friendly correction though … it’s Dyes Inlet. What a great trip! 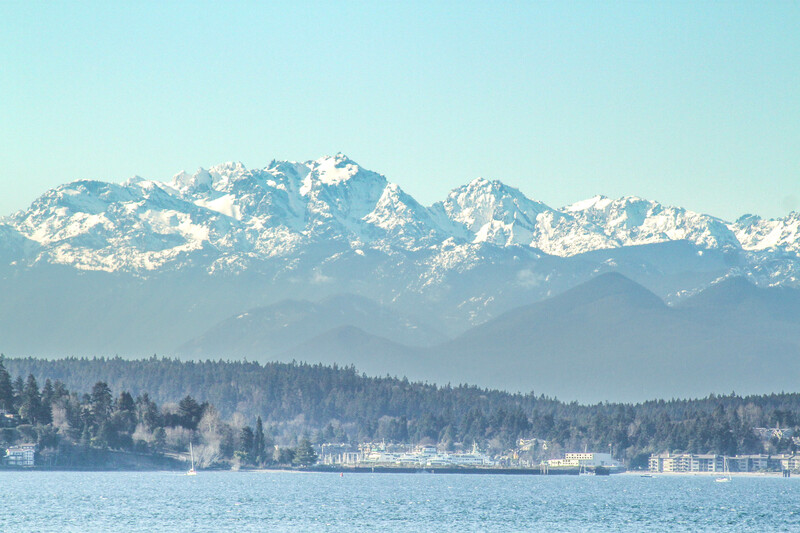 Bainbridge Island is so lovely, isn’t it? I moved to Portland last summer and have only visited Seattle once, but I visited by train, not car. A road trip would be really fun, and I’ve bookmarked this for future reference. Thanks for sharing! 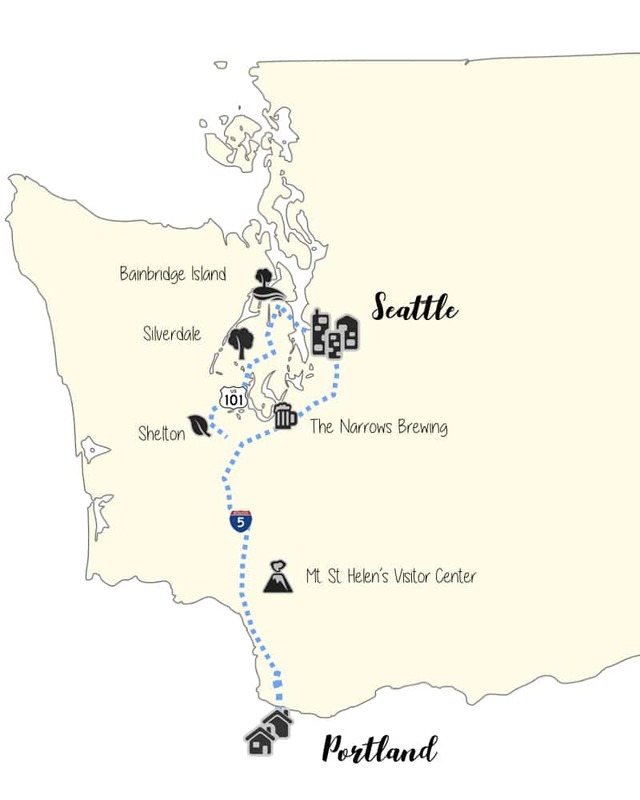 That blue color does stand out – seems like you did really enjoy a lot with lots of fun stops even though the actual distance between Portland and Seattle is not that great! Nice shots of the Prime! That’s a great looking Prius, for sure. 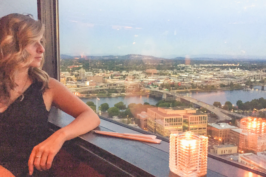 You did so much on your trip – I love it! Great pics! Looks like a lot of fun! The “Fremont Troll” is absolutely amazing!! I’ve always wanted to hit this part of the world. You’re inspiring me even more! Love your blog.